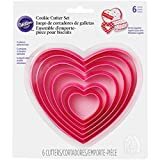 Here's a great selection of heart shaped decorating ideas and inspiration for cookies which you can use along with your shaped cutters for Valentine's Day baking or for any other romantic occasion such as anniversaries, weddings and engagements - or any other I love you timing. Maybe even just because. Sugar cookies are a nice, quick and easy sweet treat to make and they make wonderful gifts to give to family and friends. I bake these for school, charity fund-raisers, seasonal gifts and also as an occasional treat. Enjoy finding some great ideas for your decorating this year. 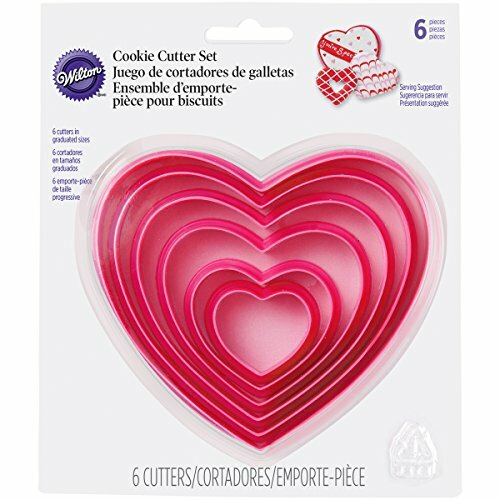 With all the cute heart shaped cutters available, it's easy to create great looking cookies in no time at all. You can leave the dough plain or decorate with chocolate, sugar frosting or fondant icing which comes in a packet ready to roll! Heart shaped cookies are perfect for Valentine's Day but also great for weddings, anniversaries, romantic occasions and just as a cute treat to offer to someone you care about. My daughter loves it when I pop these cute shaped treats into her school lunch bag. They're a super sweet surprise! I love the way Sweethearts Conversation Hearts have been used as inspiration for these rather brilliant heart-shaped cookies. The dough is coated in a smooth poured icing which is made from fine confectioners' sugar with the addition of your chosen food coloring. The written detail icing on top can be made using Royal Icing although you can purchase microwaveable cookie icing bottles to do just the same thing with even less mess for you. 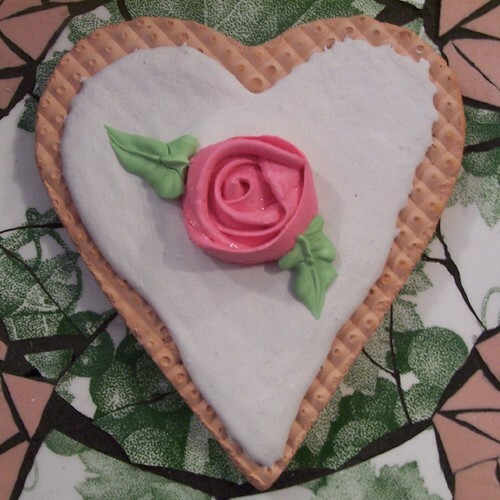 Making beautiful and decorative fondant heart cookies isn't really hard at all. Fondant icing has a matt finish unlike sugar frosting or a smooth poured icing which normally has a satin sheen. Fondant icing is soft but won't crack or crumble so you can press shapes into the icing in order to decorate it. You can also easily layer up different colors and shapes of fondant icing which can look fabulous. You can buy special tools to decorate your fondant icing or you can see how to make this heart cookie with no special tools. These gorgeous Chocolate Heart Ice Cream Sandwich cookies are made with 2 thin chocolate cookies holding in your favorite ice cream. The recipe, inspired by Martha Stewart, uses strawberry ice cream but I prefer a chocolate and cherry combination myself. If someone gave me these as a yummy desert, I'd be very happy! They look really delicious and are easy to make and prepare. You can also prepare these edibles ahead of time, with the ice-cream filling and store in your freezer for a couple of days. These Sprinkle Heart Cookies are such fun to make. 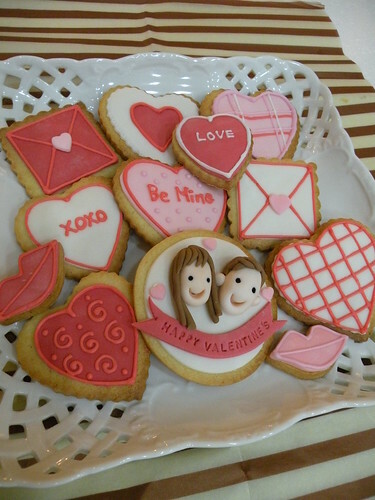 They are a great Valentine design to make with kids so long as care is taken with the hot melted chocolate. I do the chocolate dipping and my daughter loves to add on the rainbow sprinkles. Then she'll lick the remainder of the chocolate bowl when we're done! You can stick on small candies or marshmallows or just leave the chocolate as it is. A mixture of dark and white chocolate dipped designs would be yummy. And how about adding some mint flavoring for a truly winning combination? 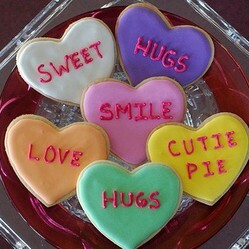 My personal favorite are the Jelly Heart Cookies. They look good, are fairly easy to make and they taste divine. If you love sticky, sweet jelly or jam then you will find it hard to stop eating these. What a burst of flavor you get when you pop these cookies in your mouth. 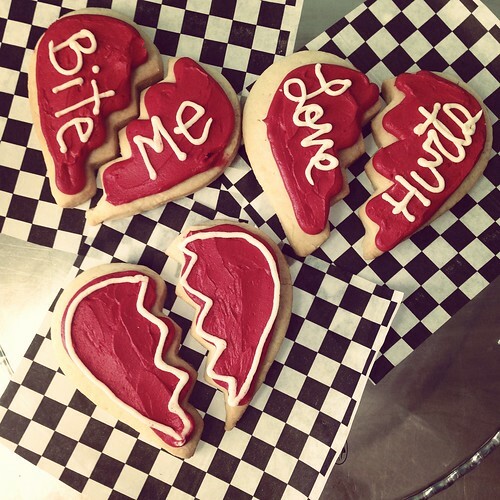 This style of cookie requires some graduated heart cookie cutters. 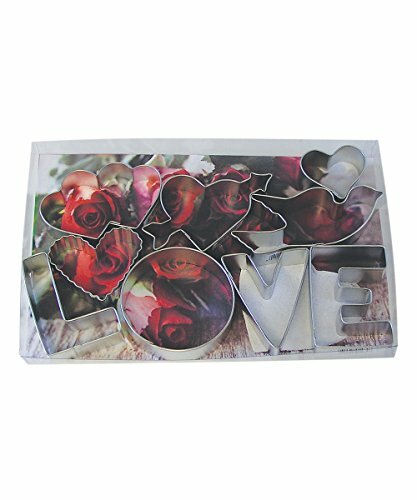 If you don't have those, you could also use a large round cookie cutter and a smaller heart cutter to make the 'window' where the jelly or jam needs to be. So you might well have all the equipment you need already. Have fun baking! I hope you've enjoyed reading my wizzles page today, thanks for your visit. Enjoy more ideas below. Thanks, Pinkchic18 :) I think the heart cookies could make good wedding cookies too and romantic edibles throughout the year. These are all so cute! 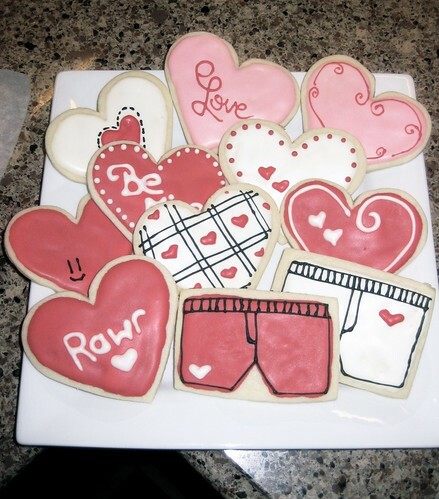 I'm so sad that Valentine's day is over :( I'll have to make some of these next year! BTW, I'm sharing this via my facebook page, friend me sometime I'd love to follow you. How can you write these pages and not put on weight - I'm sure I just gained a kg just reading it!